Well, you have seen the first pictures of the coop I am building. Thanks for your comments. I’m waiting for thunder storms to clear so that I can open it for pictures of the inside and better pictures of the rear. Again it is still under construction. I appreciate your interest. While I wait, I want to share the “cage” [tunnel] I built to move the girls from the sand box of the coop to their home run. 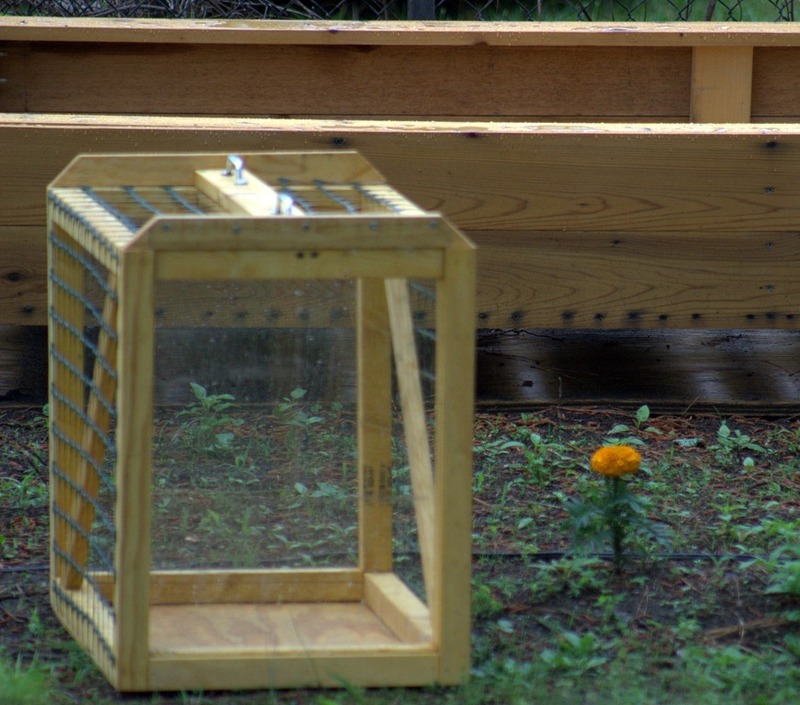 It is a dual function box, also serving as a container to lift them from the coop to the chicken tractor where they can feast on grass, bugs, and so forth in a controlled and protected area. Nothing fancy here, just pine sealed with the clear waterproofing sealant used on my raised vegetable bins and the coop. I have sliding door of Lexan [from the Fargo Gage—recycling]. Simply lift the door on the end you want to open to allow the chickens to pass through. 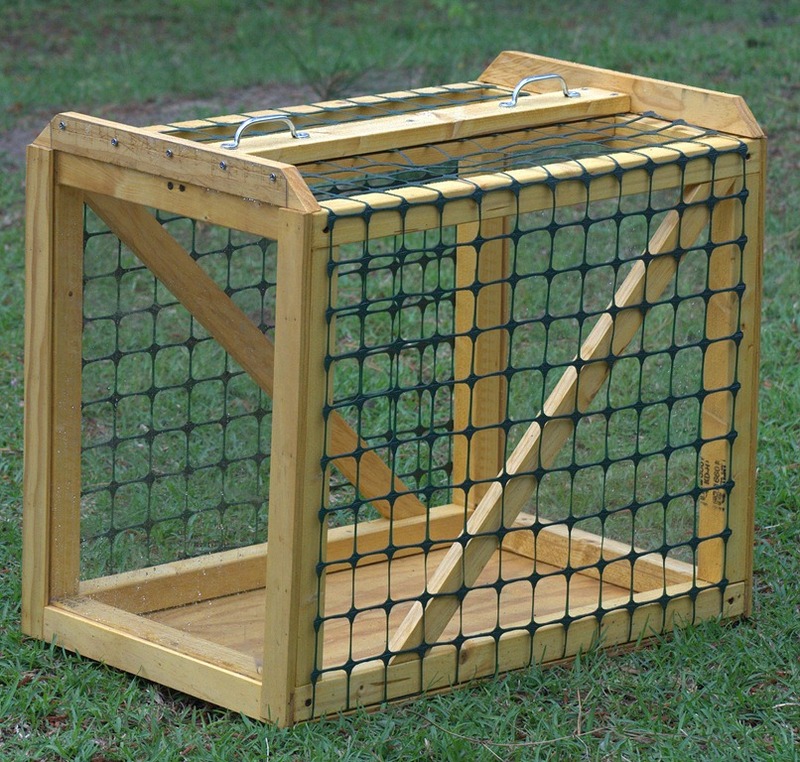 I’m thinking this cage can function for any animal that can be constrained by chicken wire [made of plastic these days]. Please click to enlarge. No plans, just the visual in my head and the measurements of the area from the coop to the run fence, yet to be installed. The supporting braces are my first 45* cut on anything I have build. I’ll take it for a chicken transporter. I tucked away my “wire” attachment using the floor and a board at the top [to which I placed handles for easier carrying]. It is assembled with screws [as is the coop], except for brads used in molding for the doors. BTW, I will use some applique on the Lexan to prevent the chicks from crashing into it as birds seen to do on occasion around here. Next Next post: Chickens ~ Might they be Bantams?? ?